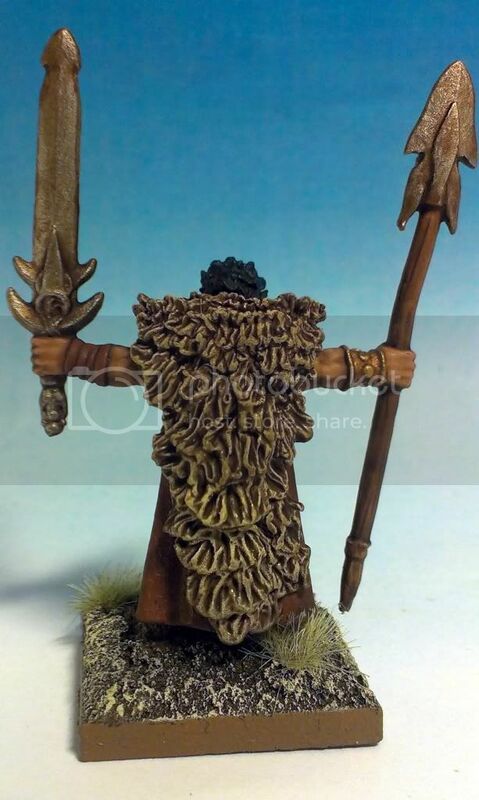 Sláine Mac Roth of the Sessair. The Horned God. A brilliant 2000AD series based on a combination of celtic mythology and Conan, this would have to be one of my all time favorite comics. 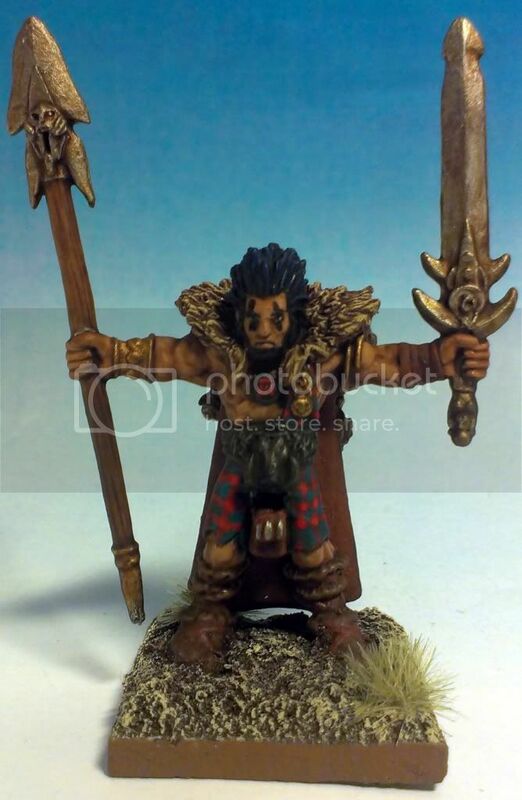 This miniature by Foundry is based on an image from the ultimate Sláine series "The Horned God" by Pat Mills and illustrated by Simon Bisley. I chose not to be particularly faithful to the colour scheme in the book, but I did include the eye paint and the blue wode in the hair! Let's not talk about the dodgy tartan..